A story of bravery, acceptance, and unconditional love. Written and illustrated by Doug Reynolds. The story, both within the book and without. A quick guide on how you can help save the entire world for an LGBTQ kid. 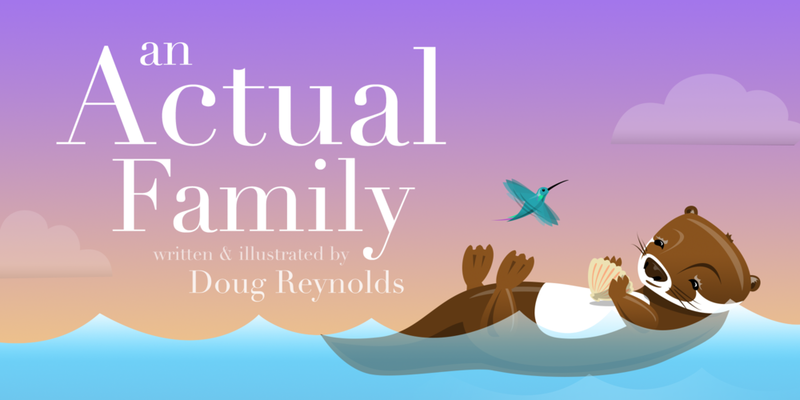 An Actual Family: A Fable for LGBTQ Homes coming soon! After a successful Kickstarter, Doug's second book will be available online at Amazon, Barnes & Noble, Books-a-Million, and Mascot Books by the holidays!